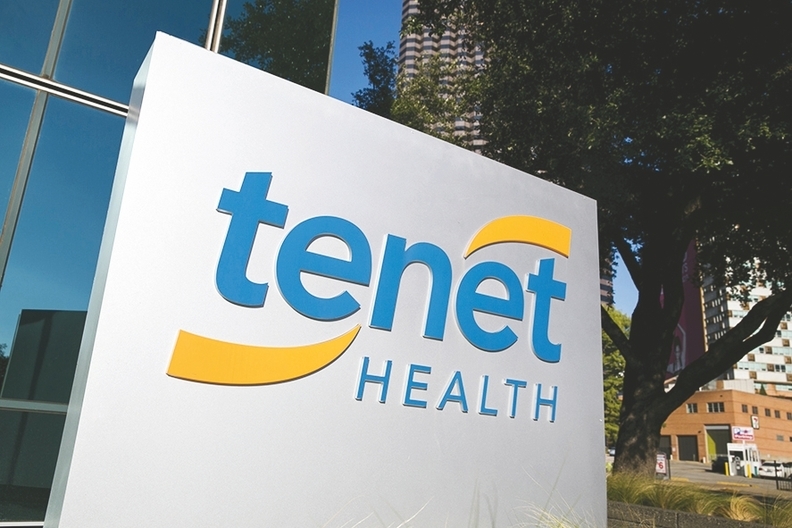 Tenet Healthcare Corp.'s largest shareholder is calling for a proxy vote to allow the Dallas-based hospital chain's investors to act by written consent without meetings. Glenview Capital Management, which owns a 17.77% stake in Tenet, originally filed its written consent request with the Securities and Exchange Commission on Jan. 18. Three days later, Tenet released its own filing announcing a bylaw change, but not the one Glenview had proposed. Under the change, Tenet now allows shareholders to meet outside of the annual shareholder gathering. "They made an original proposal, the board seems to have rejected it and so now Glenview is going to shareholders to get that right," said Bruce Goldfarb, a Glenview advisor and CEO of Okapi Partners. Tenet responded with a statement Friday that said it's reviewing Glenview's proposal and will recommend a course of action for shareholders in the future. Glenview argues the new special meeting right is still too onerous because it requires more than 50% of shareholders to request the meeting. But there are other logistical hurdles, too. The written consent proposal would allow shareholders to take action, including the removal and election of directors, without holding a physical meeting. According to Glenview, most Nevada corporations, where Tenet is incorporated, provide shareholders the right to act by written consent. Under Glenview's proposal, any action to be decided by written consent would be published in a public SEC filing for all shareholders to see and comment on. "Glenview is very specific that they want all shareholders to have the ability to weigh in on the proposal," Goldfarb said. Shareholders will vote on Glenview's proposal at Tenet's annual meeting, expected to be held in May. In a letter to fellow Tenet shareholders, Glenview CEO Larry Robbins wrote that the extra scrutiny on Tenet is warranted because the company has been "chronically underperforming for decades." Tenet last month announced it was increasing job cuts to 2,000 as part of an effort to find $250 million in savings. "Just as a person in worsening health may need more frequent medical attention than a check-up once every 12-18 months, a chronically unhealthy company is likely to return to health quicker and with more certainty if its owners are allowed more frequent board oversight, and this is effectively accomplished through the ability to take action by written consent," Robbins wrote. Robbins went on to list multiple frustrations with Tenet, including a board he said is slow to respond to challenges and resistant of Glenview's suggestions. Prior to the resignation of its two board members, Robbins wrote that they had advocated for five actions that were not taken: prioritizing patient satisfaction and quality, initiating a cost reduction program, changing CEOs, reviewing the holding company's structure and improving financial planning, budgeting and communication. Tenet's stock price reacted sharply on Friday, dropping $0.76 per share, or 4% from the day's open.